Off to Aquascapes. 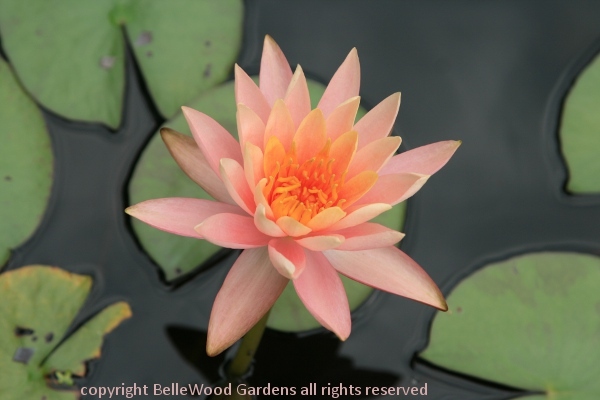 What does the name suggest to you - a water park, a landscape with water prominently featured, somewhere with water lilies? Well, yes. 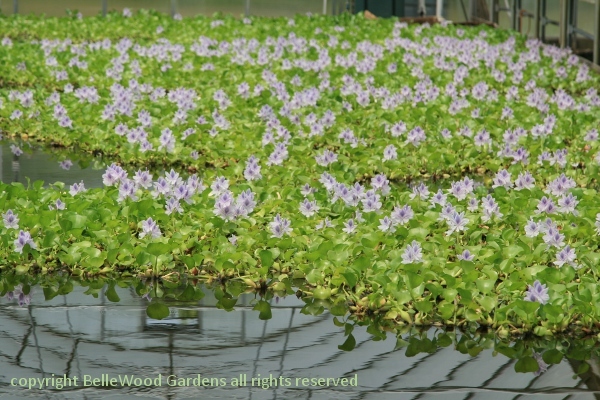 There are water lilies at Aquascapes Unlimited. That's not their focus though. 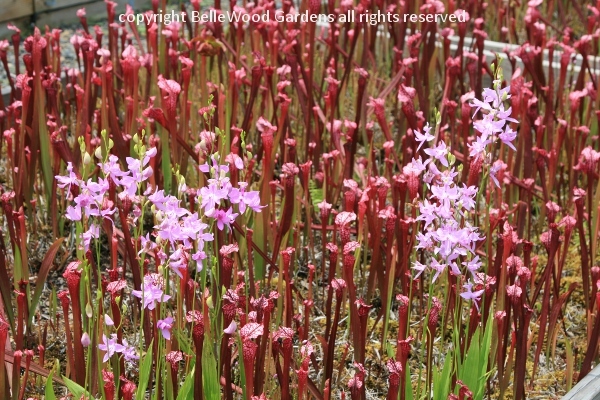 Native plants for wet places, and especially native insectivorous plants like this planting bed of Sarracenia flava. 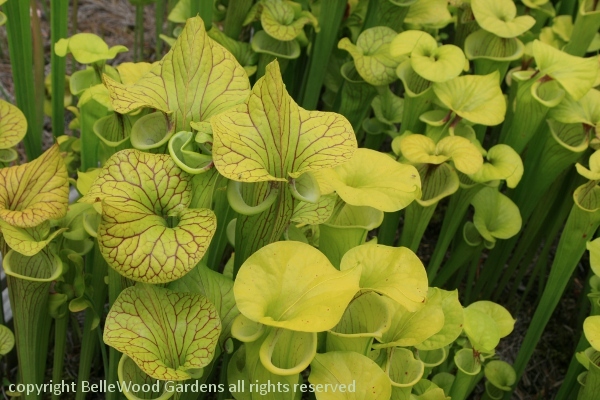 to show up - some uniformly chartreuse green, others embellished with burgundy veining. I like the veining. Was also impressed by these supersize plants. Perhaps they are developing a pest control variation. 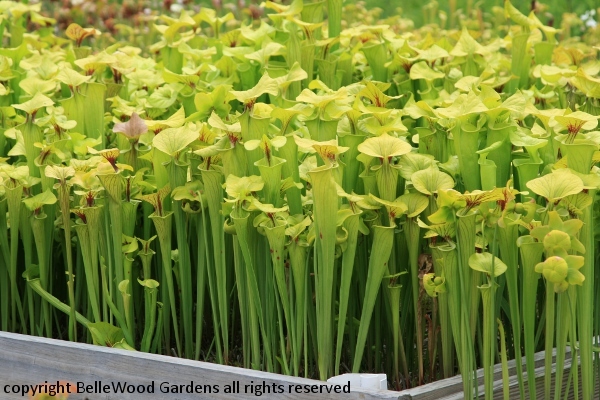 These look large enough to swallow mice, don't you agree? 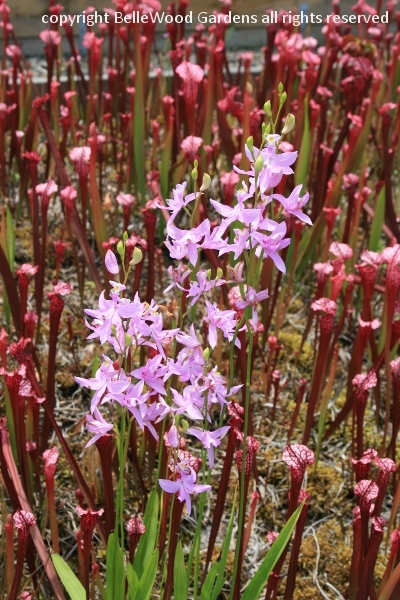 casually thriving among the sarracenia. 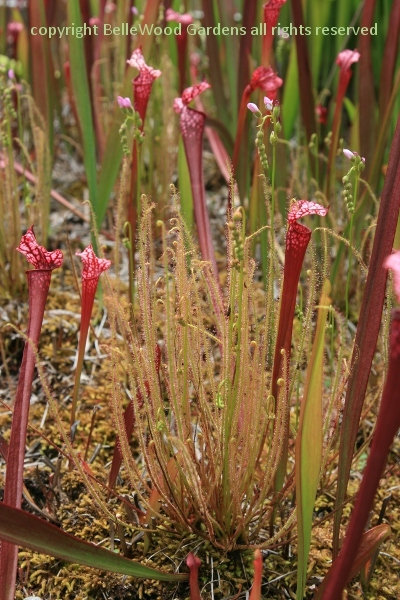 mingling with Sarracenia leucophylla. Looks quite elegant to me. 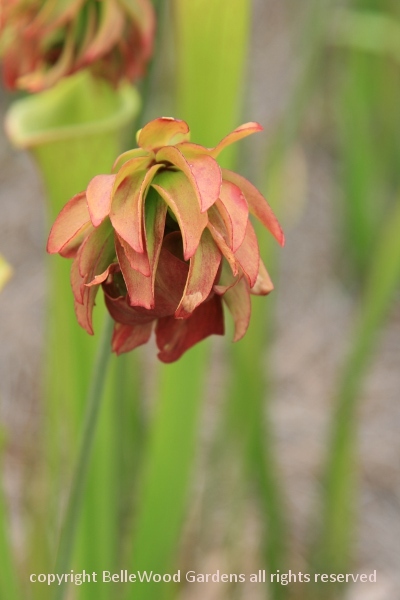 And then there were some sarracenia with double flowers. 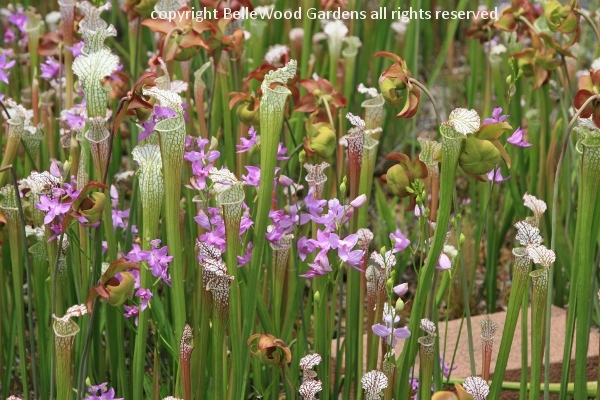 Insectivorous plants evolved in nutrient-poor sites. 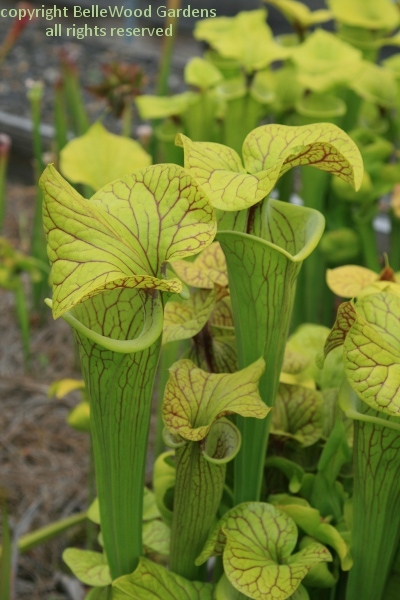 They get their nitrogen by digesting insects. 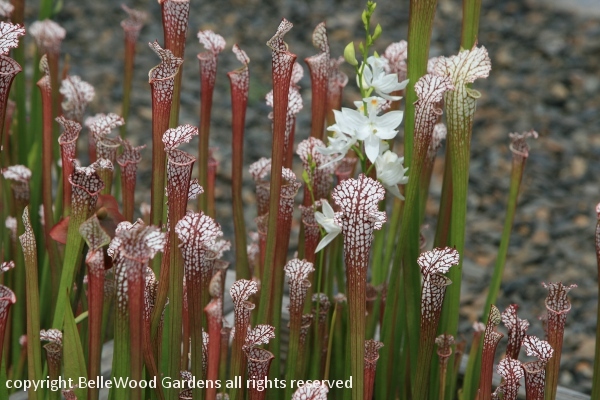 and cannot climb out, drown in a pool of liquid, becoming a nitrogen-rich soup to nourish the plants. functioning like living flypaper to trap the insects. 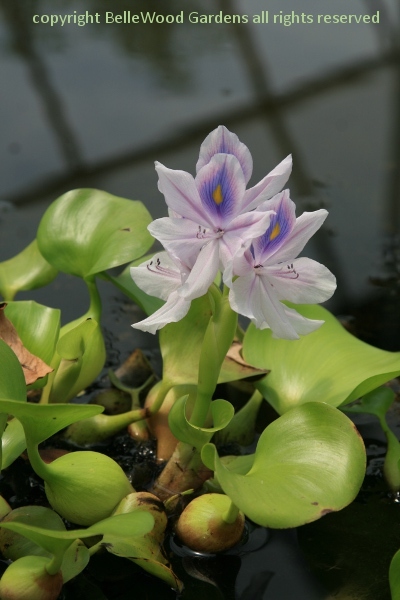 Water hyacinth, Eichornia crassipes, is not a native, banned from inter-state sale, and fortunately not hardy in our area. 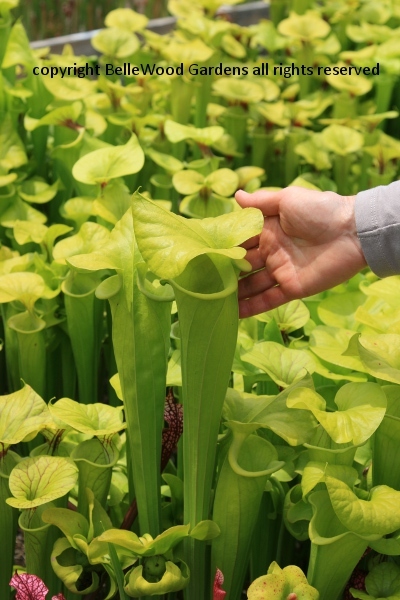 multiply so vigorously that the plants choke canals in Florida. Manatees eat it but alas, no manatees in Pennsylvania. 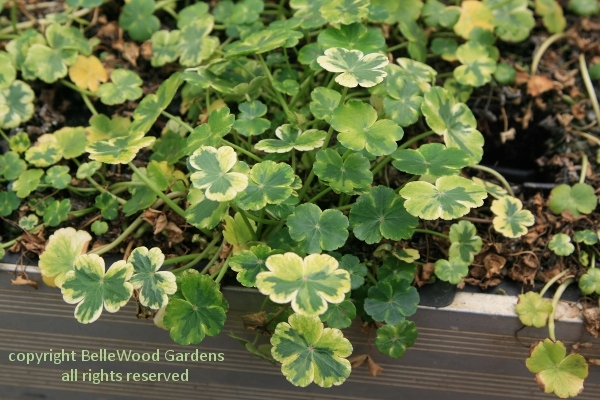 a pot of Hydrocotyle ranunculoides 'Crystal Ball' to trial as a container plant in my garden. this year while they bulk up stock. Look for 'Crystal Ball' at your quality retail nurseries in 2014. Aquascapes Unlimited. 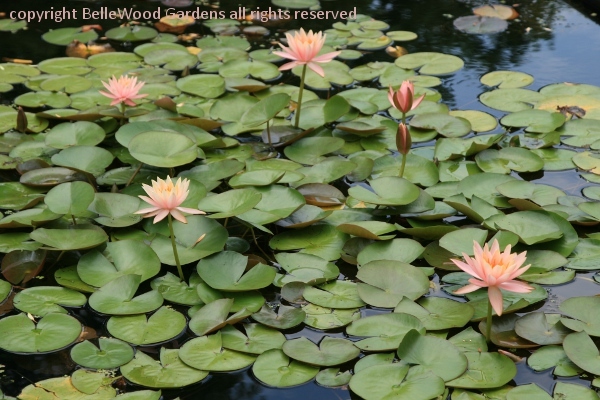 Waterlilies, yes, and also a diversity of other plants that like wet feet, anything from a wet meadow to a marsh, swamps to bogs and ponds.